Yes, it's true. We have reached double digits folks. 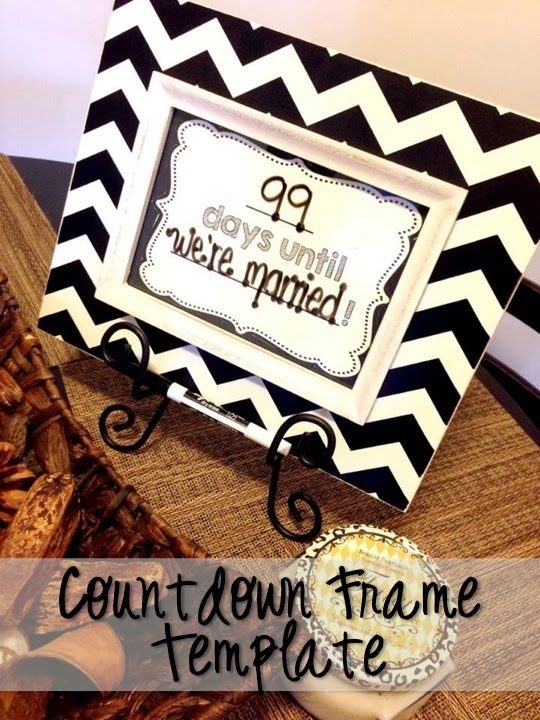 99 days until we are Mr. and Mrs. Exciting and nerve wracking all at the same time. As I am sure any one of you that has planned a wedding is aware, time flies, and there just always seems like there is something still to get done! That being said, one of my favorite tools for assisting in the constant reminder that time is a flyin' is my handy lil' countdown frame. 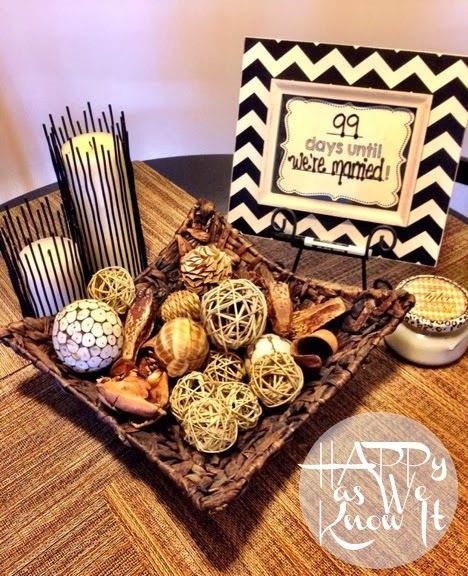 It was so incredibly simple to create, and one of the reasons I love it is that it can be personalized to meet any decor need! So what do you need to create this little gem? I made a stop at the ever-so-addicting Hobby Lobby to pick up the frame (they are always 50% off) and frame stand. I would highly recommend the frame stand as it serves as a nice holder for not only the frame, but the wipe on/off marker used to change the number of days each morning as well. Also, I think it gives it a bit more of an elegant touch. The other item you will need is paper to coordinate with your frame. I printed out the template I created on ivory, cut it out and then backed it with black card stock to give it a more textured feel. You could do this, and/or simply print the template on the color of your choice and cut it to meet and fill the frame size. This specific template was created for a 5 x 7 frame size. Grab your copy of the template here. and add a little charm to your table while you're at it!